We are pleased to announce the latest addition to our collection of downloadable sounds. M3 Proto Rock Mix. Now anyone with a sampler that reads AIFF or WAV files can get all the amazing sounds in our new M3 “Proto Rock” sound library. The new sounds are also available for Propellerheads REASON and RECYCLE or Native Instruments KONTAKT. The new samples include a mix of Basses, Pads, Strings, Guitars, Synths and Rhythm & Beats. Also sampled are new sounds from our Radias Rock collection. Hot new sounds from that we have programmed for the Radias Expansion board. All sounds are multi sampled and well organized for easy keymapping into your hardware or software sampler. Reason and Kontakt sounds are all set up as instruments for you. Just load and play! AND>>>>> 200 NEW REX LOOPS!! Now all the best Rhythm & Beats from Proto Rock can now easily be imported into Propellerheads “REASON” or “RECYCLE” software. Incrediable rhythmic patterns making great use of the M3’s mod sequencing and KARMA technology have now been convered into REX files making it easy for you to create that next killer track with REASON. Now available for download. Get 20 new loops for as little as $5. and spice up your tracks with some hot new beats! With all the silly stuff that’s been going on in this years presidential race, I got to thinking about Pat Paulsen again. He always gave me a good laugh when watching The Smothers Brothers TV show back in the 60’s. I googled his name and sadly found out that he passed away back in 1997, but that has not stopped him for running for president in 2008! The good folks at The Doo Dah Board of Governors and Parade Committee in Ocean City, NJ have officially endorsed Pat for president. I visited Pat’s web site and found this hysterical video that I wanted to share. It also seems to be where NBC got the idea for a saturday night live skit and the NBA for a recent basketball commercial. Too bad Pat’s not with us anymore. We can use him more then ever now. 2- VS_PAD.KSC file and folder containing all the .KMP files set up as a “Multi Sample” program. This must be loaded every time you start up since the M3 does not retain sample data in it’s memory when shutting down. 3- VS_PAD.PCG file contains two programs set up to load into your USER-G Bank. Program 000 – Prophet VS Pre Edit Data – what the samples sound like before any editing is done. 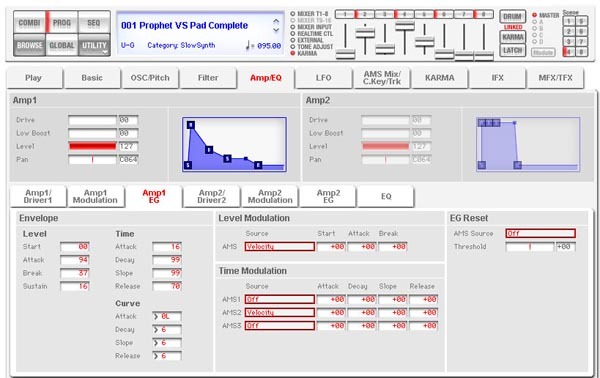 Program 001 – Prophet VS Pad Complete – the finished program. This demonstration can be used in two ways. You can either just load in the .KSC and .PCG files and get a taste of how we added new Prophet VS multi samples to our Proto Rock M3 Collection. Or, you can follow the steps below and create your own program from the eleven wav files that we have included. This tutorial will give you a much better idea on how to create new programs using your own samples. It is not meant to be used exactly the same in every situation since there are many different ways to import and set up sample programs, It’s more to be used as a guideline on how to key map samples across the keyboard and get you started with using sample data on the m3. Each WAV file has been sampled from our vintage Prophet VS synthesizer and includes an assortment of C’s and G’s. The files must be “Key Mapped” into the M3 in order for you to be able to use them in a program or combi. In case your not familiar with how all that works, we’ve created a step by step on how that’s done. Also included is a .KSC file which has the samples already set up as a program and shows an example of what your finished program should look/sound like. Also note the effects, KARMA scenes and real time controls that were added to the program to put the finishing touches on everything. 1- Save the “VS Demo” folder to your USB hard drive or memory stick. Connect your drive/stick to your M3 USB port. 2- Choose the Media button and find the “WAV” folder and choose it and choose “open”. Choose the top file “P00_C2.WAV” and choose “load” then choose “OK”. The data should load. Repeat step 2 with the other ten files until all eleven wav files are loaded. 3- Choose the Sampling button and highlight at the very top of the page where it says “000: NewMS” and choose the next available Multisample slot. The “create new multisample” box will pop up. Highlight the stereo button if you have a stereo sample and then choose OK. Highlight the “Sample” function. Choose the top sample “P00_C2.WAV”. That sample should appear in the M3 sample function display. 4- Just under the sample you will see the OrigKey and TopKey parameters. Leave them both at C2 and choose “create”. At that point that one sample should now be “mapped” on C2 (the bottom note on a 61 note M3. If you have an extended keyboard with 73 or 88 keys then the sample should also be any note under C2. Play C2 on your keyboard and the you should hear the sample. If you can hear the sample when you play C2 then move on. If not then recheck your steps. You probably overlooked something. 5- Choose the sample arrow option again and now choose the P00_G2.WAV sample this time. Set OrigKey to G2 and TopKey to A#2. This will map out the second sample between C#2 and A#2 and fill out most of the next octave. Play any of the keys in that range to test. If you have gotten this far and everything is OK then you probably have a good idea how to finish key mapping the rest. Basically you now have to repeat step five several times where you set the range of the sample with the OrigKey and TopKey functions. The OrigKey is always the same as the original sample name (C3, G3 and so on) and you always “stretch” the TopKey usually three or four notes above the original. Usually a E or A# in this example. Remember that the goal is to fill in all the notes on the keyboard. 6- Play the keyboard to see if all the notes are filled in and that everything is correctly tuned. Your getting there, but you may be thinking that this VS Pad thing sure does not sound like much. Yeah, that’s exactly right! To get the sound just right we have to turn this into a M3 program. 7- Choose the top right arrow to get to all the sampling options and choose “Convert MS to Program”. Select the program slot where you would like to store the program and choose OK. Then save your program to the M3’s memory by going to “write program”. 8- Select program mode and find your program. Now you can start editing it the same way that you edit any factory program. B- A KSC file which saves the multi sample data. You don’t actually “have” to create a PCG file right now since this program will stay in your M3 memory until you load over it with something else, but it’s always a good idea to back up your data. However, you do have to save your sample data as a .KSC file since the m3 does not hold the data in it’s internal memory and must be loaded in each time you boot up the machine. All your samples should now save to your USB drive or memory stick and you should now have a file on your drive called: VS_PAD.KSC along with all the samples saved as Korg .KMP files. Now you don’t have to go through all of that the next time you boot up the machine! Just load the file and your ready to start editing the program. Choose Media – Select Save – Select “Save PCG”. In this case your only saving one program bank so uncheck all the program banks except the one bank where your Prophet VS Pad is living. We have chosen the User G bank and have unchecked everything in the program section except the USER G bank. Your not saving any combi, drum kit, drum track, global or radias data so you can uncheck all of the combi and drum kits boxes as well as the drum track, global and radias boxes. Choose OK.
OK great. You have now backed up all your data and won’t have to start all over again if the power goes off at your house! At this point the editing and creation of the final program begins. There is much that needs to be done to create a finished program and since programming is an art, the results will vary from person to person. However, here are a couple of tips to get you going. First notice that your program does not quite sound right. As soon as you lift your hand from the keys, the sound cuts off. Not a very natural sounding patch is it? What you need to do is adjust the “amp envelope” settings. Go to; AMP/EQ and Choose AMP1 EG. This is where you adjust the settings. Below are two pictures. Example A: shows the envelope settings for a pre-edited program and should have the same settings as the program that you have created. Example B: shows what the correct envelope settings should be. Make the adjustments, play the keyboard and now when you release the key, there is a much more natural decay of the notes played. Your program is now staring to take shape. There are many more steps involved in finishing up your new program. Adding effects, real time controls, drum track and KARMA settings just to name a few. For those who are interested we have included a finished Prophet VS Pad program which includes all of the above and more. Just load in the VS_PAD.PCG file into your User G bank and you will see/hear what a complete program should look/sound like. There are two programs included in the file. 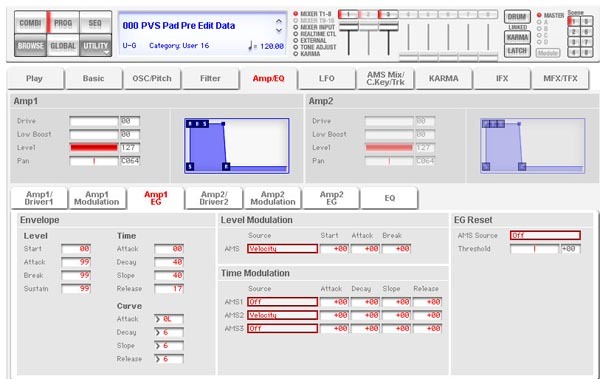 For those interested in learning how to program, look take a good look at the finished program (P001) and you can see how the effects, real time controls and KARMA settings look compared to the “bare bones” (P000) program. That should give you some ideas on how everything works. Well that’s a mouth full! I hope this gives you a much greater understanding of how to work with new multi samples. Setting up one from scratch can be a bit confusing at times when your first starting out, but like anything else if you keep doing it your bound to get better. If you have any questions or comments please contact us at: [email protected] and we will be happy to assist. Happy sampling and good luck! Many of you may not recognize the name of Jim Gordon, but I can assure you that you’ve heard his music. 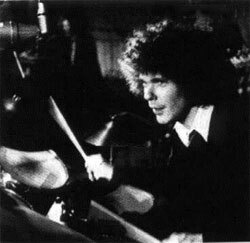 Gordon was the drummer on many of the 60’s and 70’s greatest recordings in the history of rock and roll. During this period he performed on many classic recordings including George Harrison’s “All Things Must Pass”, The Beach Boys “Pet Sounds” and Joe Cockers “Mad Dogs & Englishmen” among many others. Gordon also played on the Derek & The Dominos’ 1970 classic album “Layla and Other Assorted Love Songs” and contributed the piano coda for the title track, “Layla”, co written by Gordon and Clapton. There was a reason why Gordon was on all those great recordings. He was the best. The man could set a groove like no one else. As a keyboard player I’ve always thought that when the drummer is playing the right beat, the rest of the band always sounds better and Gordon could do that like no one else. After listening to Layla the other day I was inspired to google Gordons name thinking he was dead and was made aware of a few things. In the late 1970s, Gordon complained of hearing voices in his head. He was later diagnosed with acute paranoid schizophrenia, which had been worsened by a cocaine addiction. By 1981, this ended his music career. June of 1983 Gordon stabbed his mother to death with a butcher’s knife. In May 1984 he was sentenced to sixteen years to life in prison. He has served his sentence at the California Men’s Colony in San Luis Obispo, Atascadero State Hospital in Atascadero, and the State Medical Corrections Facility in Vacaville. He is still incarcerated. More googleing brought me to Gordon’s Myspace page where you can sign a petition asking the parole board to consider his release. I signed the petition and forwarded this info to many of my friends and colleagues and was met with some interesting responses. Most were very supportive of the petition. However, there were some who argued that it was none of our business getting involved since we knew nothing of the details of Gordon’s case and a petition was “meaningless”. Some argued that just because he co-wrote Layla does not give him a pass to commit murder, which I totally agree with. Yes, he did commit a serious act of violence (over twenty five years ago), but has done his time and if the doctors who are treating him feel that he is ready to return to the street I support their decision. If he’s been deemed mentally balanced while medicated, has served the time he was sentenced and will be supervised while on parole and as a condition of release, possibly supervised for a time longer than his parole, he deserves a chance to prove himself, just like any other paroled killer that’s walking the streets. As far as the petition goes, it’s certainly not “meaningless”. It offers hope and inspiration to Jim that people are pulling for him and just might help him in the healing process. It shows support. I agree that it will probably not influence the parole board much, but I would think with a boarder line case where they are weighing all their options, something like that might just make a difference. I do admit that I know nothing of Jim’s current condition, but I support him none the less. I sincerely hope that his demons are gone and whatever drove him to commit such a violent act is part of his past. I’m pulling for you Jim and look forward to seeing you released one day soon. Best of luck with the parole hearings. Check out this amazing video of Jim playing during the Mad Dog’s tour. Delta Lady with Joe Cocker Live at the Fillmore East, March 1970. I had first heard about Delaney & Bonnie in 1971 when they did a live radio broadcast for New York’s WABC-FM (which later became WPLJ). They were backed by an amazing group of players including Duane & Gregg Allman and King Curtis. Duane Allman’s slide guitar solo in “Out On The Open Road” remains one of my favorites to this day. By that time it seems like everyone who was anyone wanted to jam with what seemed to be the biggest rolling party on tour in rock and roll. Eric Clapton had discovered D&B when they were the opening act for the 1969 Blind Faith tour and quickly became one of the “friends”. Clapton is quoted in his autobiography saying: “For me, going on with Blind Faith after Delaney and Bonnie was really, really tough, because I thought they were miles better than us.” This is also where Clapton met Carl Radle, Bobby Whitlock and Jim Gordon which later became Derick & The Dominoes. Duane Allman was also included on the Layla recordings and Clapton wanted Duane to join the band full time, but Allman had a little band of his own that he was more interested in playing with at the time. George Harrison was so impressed with them that he offered Delaney and Bonnie a contract with the Beatles Apple Records label and also was how many of the same players wound up on Harrisons “All Things Must Pass” album. Harrison also credits Delaney with teaching him how to play slide guitar. Other greats included with the “friends” were Leon Russell and Dave Mason. Many of D&B’s ex-members were recruited by Russell to join Joe Cocker’s band, participating on Cocker’s Mad Dogs and Englishmen 1970 recording sessions and North American tour. Mason took many of the same players on tour with him with Traffic and they played on the live “Welcome To The Canteen” recording. Amazing how so many great players got linked up to make some of the greatest recordings in the history of rock though Delaney & Bonnie. D&B never did break though in a big commercial way and while many of their albums were well received by the music community, they never really sold very many. Still, I would have to say that they were one of the most important groups of the late 60’s and early 70’s. I did a search on youtube and found this great video of “Coming Home” which features many of the “friends” that I’ve talked about. It looks as though they are having a great time on that rolling party. I wish I could have been there! Proto Rock Version 1.3 – “Radias Rock” now adds “thirty two” new programs designed for the M3 Radias expansion board. AND….The best part is if you have already updated to Proto Rock 1.2 then the update is FREE! That’s right, thirty two new Classic Synth programs at no extra charge. We appreciate your support and we just wanted to say thank you with some free sounds. The new programs feature an assortment of vintage synth sounds geared towards Rock, Pop, R&B, Funk or Jazz tracks and live gigs. A mix of analog basses, leads, pads, synths and rhythmic programs featuring the Radias Mod Sequencer, M3 drum track and KARMA technology. Proto Rock now contains a total of: 96 Programs, 80 Combis and over 50 megs of new multi samples. 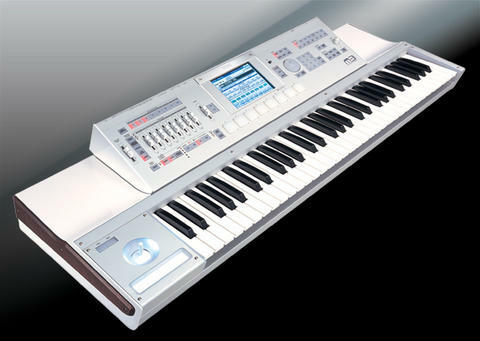 Sounds are in Korg PCG format and KSC sample format and delivered by our quick download delivery. The Patch King has just released a new video promoting our Korg M3 Radias Rock collection. “New York To Barbados” features several new sounds programmed for the M3 Radias expansion board and film clips taken from around New York City and The beautiful Caribbean island of Barbados. We have also just launched a music video section at kidnepro.com where you can view some of the latest you tube music videos from up and coming artists. 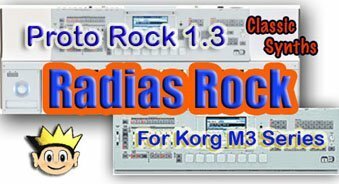 More info on our Korg M3 Radias Rock sounds Over Here. The Winter NAMM 2008 show opened today out in California and it looks like it’s the usual onslaught of new goodies for all us music gear junkies. Hundreds of new hardware and software products all bidding to be the one that stands out above the rest and becomes that “hot new product”. The new Akai MPC5000 looks pretty sweet with that analog synth built in. Over 300 Virtual Analog synth presets included in the presets. Over 40 all new effects and Expandable up to 192MB RAM. This is not your fathers MPC! The popular MPC series has sure come a long way since Akai released the original MPC60 bank in the early 90’s. Roland always does winter NAMM in a big way and this year is no different with the release of over 40 new products! The new Fantom ” G-Series” keyboard workstation must be getting a lot of hands on it right about now. Three models are available – 61 and 76 note models and an 88 note model with Roland’s weighted PHA II “Ivory Feel” keyboard. Advanced sound engine, bigger sequencer, more effects and a graphic user interface with extra-large 8.5” wide colour LCD and mouse connectivity. Looks like this this one could be a big seller for people looking to update their old Fantom’s or for someone jumping into the workstation market for the first time. For the DJ that has everything Numark announced the TTi turntable which will record directly to your iPOD. This new turntable includes a Universal Dock for iPod, USB audio interface, a metal platter and pitch control, making it, say Numark, one of the most versatile turntables ever produced. If I were a DJ, I would be giving this one a good look. It’s pricy for a turntable at: $449. US, but it looks like it will do everything except make you a pot of expressio to keep you going when your up all night D’Jaying at the club! As you probably know by now, all of us here at Kid Nepro are big fans of Korg’s musical instruments. We have been supporting their products since we first purchased their Poly 800 synthesizer back in 1985. A lot has happened since then in the world of electronic instruments and the products that they are releasing today are truly amazing. Of course everyone is talking about the new M3 and their flagship Oasys keyboards which are on the high end scale of things. However, the products that they are selling on the low end are just as innovative. One that I’ve recently discovered is the “Kaossilator”. An incredible little device that sells for under $200. It has lot’s of cool synth, drum sounds and sound effects along with an easy to use loop recording feature. Great for the teen who’s ipod is now old news or that next up and coming DJ who wants to start making beats. There have also been a lot of interesting demos posted on youtube about the Kaossilator, but the one I enjoyed the most is this dude from Japan who calls himself “Jetdaisuke”. Complete with baseball cap, sunglasses and lot’s of cool stuff on his shelves to look at. Looks like he’s been busy since he has over 500 videos posted. A star is born! We lost one of the great ones a couple of weeks ago when Oscar Peterson passed. I was searching around You Tube for some videos of Oscar and found several interesting ones from various points in his over fifty year career. However, the one I found most interesting or I should say “off beat” is a recording of “Honky Tonk Train Blues” that features Oscar and Keith Emerson that was done in 1976. You can see that Keith was a bit out of his league with this one, but it makes for some fun viewing.